Nick Chaplain | Forward Financial Services, Inc.
Nick has been helping individuals, families and businesses achieve their financial goals and protect their assets for over 15 years. 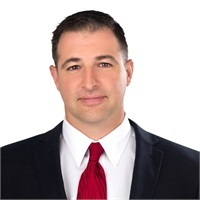 After graduating from Bryant University in 1998, Nick had a varied professional background working as an independent commercial and residential mortgage broker. With a passion for helping people, Nick made the transition in 2009 to become an independent insurance advisor and his clients have been benefiting ever since. Nick’s focus is on identifying areas where his clients are unknowingly and unnecessarily transferring away their wealth. Nick has his certification in college planning and as a father of three it has become his passion to help others fund their children’s education in the most efficient way possible. Nick is dedicated to building long term relationships of trust, professionalism and friendship and strives to become a lifetime resource for every client. Nick resides in Hudson with his wife Robin and their 3 children, Niko, Tatianna and Dimitrios and their puppy Mugsy. When Nick is not in the office, Nick loves to cook and channels his inner mountain man by spending a majority of this time enjoying the outdoors.